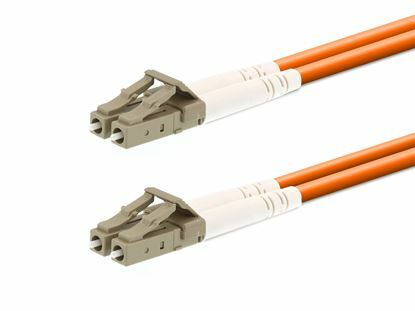 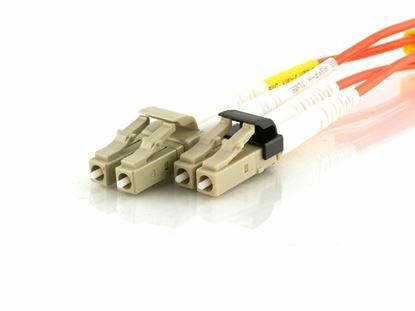 This 10m Multimode Duplex Fiber Optic Patch Cable (50/125) - LC to LC is built with genuine Corning Glass, has ceramic ferrules and a 50/125 micron core, this cable is suitable for extremely high speed data transmissions such that you would find in 10 Gigabit Ethernet (10 Gb/s) networks. 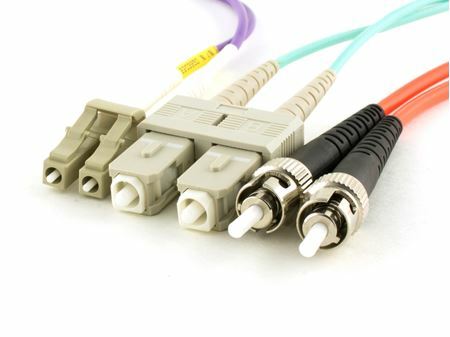 This 10m Multimode Duplex Fiber Optic Patch Cable (50/125) - LC to Mini LC is built with genuine Corning Glass, has ceramic ferrules and a 50/125 micron core, this cable is suitable for extremely high speed data transmissions such that you would find in 10 Gigabit Ethernet (10 Gb/s) networks. 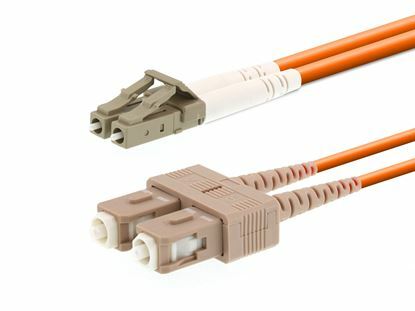 This 10m Multimode Duplex Fiber Optic Patch Cable (50/125) - LC to MTRJ is built with genuine Corning Glass, has ceramic ferrules and a 50/125 micron core, this cable is suitable for extremely high speed data transmissions such that you would find in 10 Gigabit Ethernet (10 Gb/s) networks. 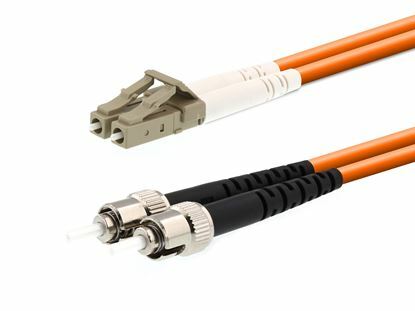 This 10m Multimode Duplex Fiber Optic Patch Cable (50/125) - LC to SC is built with genuine Corning Glass, has ceramic ferrules and a 50/125 micron core, this cable is suitable for extremely high speed data transmissions such that you would find in 10 Gigabit Ethernet (10 Gb/s) networks. 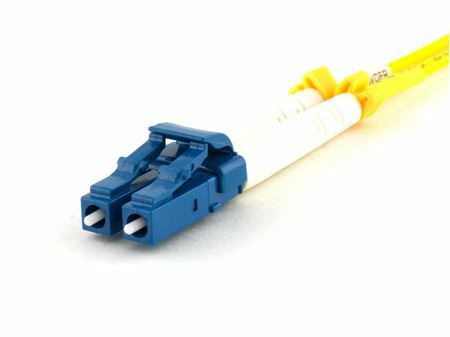 This 10m Multimode Duplex Fiber Optic Patch Cable (50/125) - LC to ST is built with genuine Corning Glass, has ceramic ferrules and a 50/125 micron core, this cable is suitable for extremely high speed data transmissions such that you would find in 10 Gigabit Ethernet (10 Gb/s) networks. 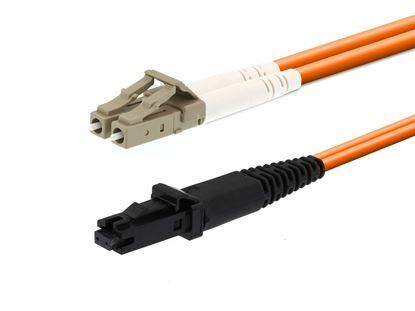 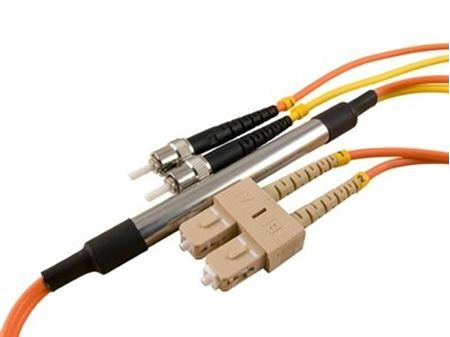 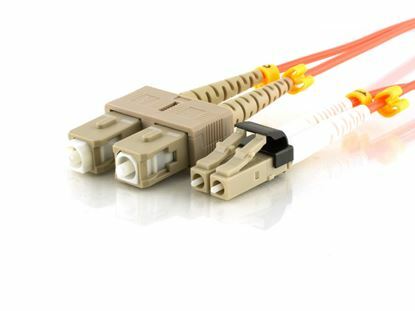 This 10m Multimode Duplex Fiber Optic Patch Cable (50/125) - Mini LC to Mini LC is built with genuine Corning Glass, has ceramic ferrules and a 50/125 micron core, this cable is suitable for extremely high speed data transmissions such that you would find in 10 Gigabit Ethernet (10 Gb/s) networks. 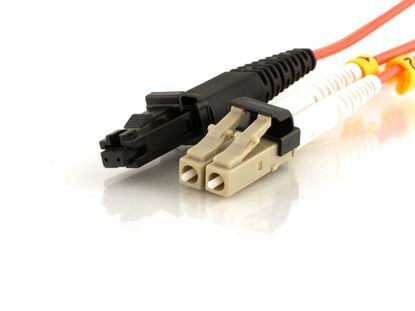 This 10m Multimode Duplex Fiber Optic Patch Cable (50/125) - Mini LC to MTRJ is built with genuine Corning Glass, has ceramic ferrules and a 50/125 micron core, this cable is suitable for extremely high speed data transmissions such that you would find in 10 Gigabit Ethernet (10 Gb/s) networks. 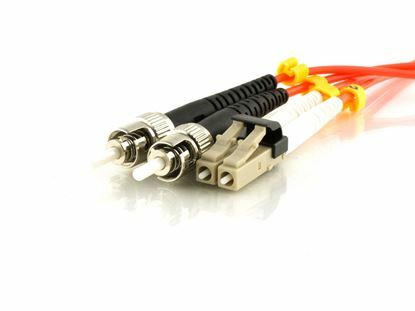 This 10m Multimode Duplex Fiber Optic Patch Cable (50/125) - Mini LC to SC is built with genuine Corning Glass, has ceramic ferrules and a 50/125 micron core, this cable is suitable for extremely high speed data transmissions such that you would find in 10 Gigabit Ethernet (10 Gb/s) networks. 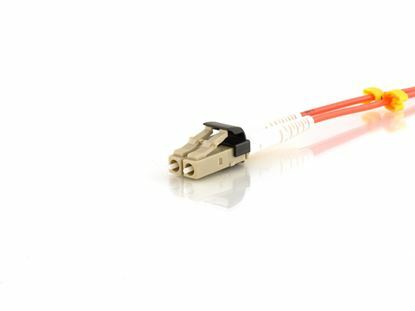 This 10m Multimode Duplex Fiber Optic Patch Cable (50/125) - Mini LC to ST is built with genuine Corning Glass, has ceramic ferrules and a 50/125 micron core, this cable is suitable for extremely high speed data transmissions such that you would find in 10 Gigabit Ethernet (10 Gb/s) networks.